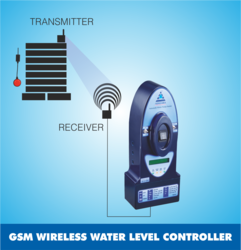 We are a topmost provider of Wireless Water Pump Controller to our clients. This pump is based on wireless technology. It operates to its peak level for years. This pump is designed to be used for years. It has robust construction and precise dimensions. This water pump is able to bear optimum pressure and works in an excellent manner for years. It is well polished which provides it complete protection from different harmful factors. Looking for Wireless Water Pump Controller ?